Success! Chiwaya from Kenya raised $1,165 to fund orthopedic surgery. Chiwaya's treatment was fully funded on December 31, 2018. The surgery was successful and he is now recovering well in the ward. 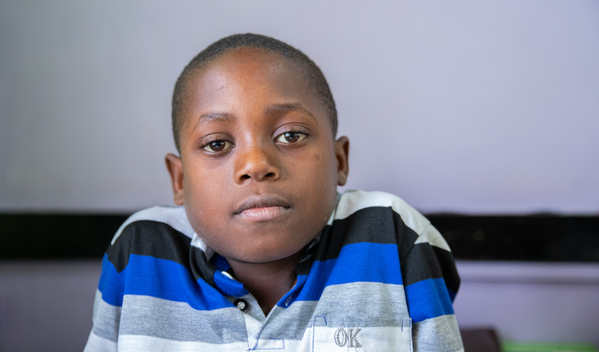 Once he heals, Chiwaya will be able to walk, play with his friends, and proceed with his studies. Chiwaya is a 12-year-old boy from Kenya. His favorite hobby is reading. “I love reading poetry” he says. Chiwaya has a condition called bilateral genu varus, which means his legs bow outwards. As he grows, this is affecting his ability to walk. Chiwaya needs to undergo surgery, which will help realign his bones and improve his walking. Surgery is scheduled for November 11 and will cost $1,165. “I would like to walk…I would also like to play football and run…Any help meant to improve my condition is appreciated,” says Chiwaya. Chiwaya's case was submitted by Joan Kadagaya at African Mission Healthcare Foundation in Kenya. Chiwaya was submitted by Joan Kadagaya, Curative Medical Support Program-Partner Representative at African Mission Healthcare Foundation, our medical partner in Kenya. Chiwaya's profile was published to start raising funds. Chiwaya received treatment at AIC Cure International Hospital. Medical partners often provide care to patients accepted by Watsi before those patients are fully funded, operating under the guarantee that the cost of care will be paid for by donors. Chiwaya's treatment was successful. Read the update. Chiwaya's treatment was fully funded. 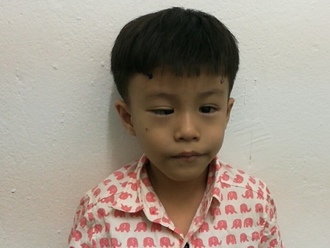 Kimleng is a five-year-old boy from Cambodia. He is the oldest of two siblings, and likes to play with his toy cars and drink cola-cola. Kimleng has strabismus in both eyes. Strabismus is a misalignment of the eye caused by injury or dysfunction in the associated nerves and muscles. It is difficult for him to see straight or see anything clearly. Kimleng traveled to our medical partner's care center to receive treatment. On March 13, surgeons at our medical partner, Children's Surgical Centre (CSC), will perform a corrective procedure to align his eyes. Now, Kimleng needs help to raise $292 to fund this procedure. His mother says, "I hope that the surgery will help my son to see straight and more clearly, and also look better than before." 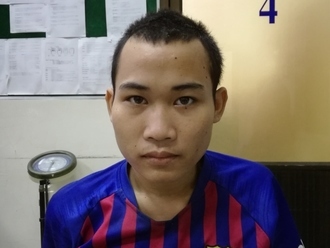 Dara is a 20-year-old farmer from Cambodia. In his free time, he likes to play soccer, listen to music, help his family with the house work, and go for walks with his friends. Last year, Dara was in a severe motor vehicle accident, injuring his right thigh. Now, the wound has become infected and is releasing discharge and causing a lot of pain. When Dara learned about our medical partner, Children's Surgical Centre, he traveled for five and a half hours seeking treatment. On March 14, surgeons at CSC will perform a debridement procedure to remove current pins in place along with any dead bone tissue to help clean and heal the infected area. Now, Dara needs help to fund this $262 procedure. He says, "I hope that after surgery, I am able to not feel any pain and walk normally, and also return to my work on the farm." Patrick is a husband and father of five from Malawi. He is a farmer who grows rice, maize, and peanuts. Since January 2018, Patrick has been experiencing pain and urinary difficulty. These symptoms are caused by an enlarged prostate, a condition called benign prostatic hyperplasia. He needs to undergo a prostate resection surgery, a procedure in which surgeons will remove part of the enlarged gland. Our medical partner, World Altering Medicine, is requesting $733 to fund Patrick's surgery. On April 4, he will undergo prostate surgery at Nkhoma Hospital, our medical partner's care center. The requested money pays for supplies, medications, and two weeks of hospital stay. Patrick is very happy that he will be receiving this surgery because the symptoms have interfered with his daily life and work. He says, "Thank you very much, Watsi is doing a good job because people in Malawi are lacking many things."